Are you using your checklists in PeopleSoft? Posted on October 5, 2012 by ImageSource, Inc.
You probably have one or more document imaging systems that enable you to reduce paper files, but how is your staff managing communication with students? Well designed paperless processes include efficient communication with students by the Offices of Admissions, Enrollment and the Registrar. Much of the communication with prospective students during the information gathering process can be system generated based on document types, system checklists, and timely automatic notifications. Posted on June 8, 2011 by ImageSource, Inc.
ImageSource has proposed three presentations ideas for Oracle OpenWorld 2011. Please help us bring these valuable presentations to the Oracle community by voting for the three sessions below at the Oracle Mix website. Join this interactive discussion on the implementation of Oracle ECM 11g. See successful 11g installs for Accounts Payable and Records Management and learn how the most recent Oracle technology sets a solid foundation for these organizations for years to come. Discover how 11g provides a tight integration between vertical components providing a wide range of choices and more flexibility in architecting and designing solutions. Explore how Oracle 11g also provides a host of benefits in the context of the broader Oracle line-of-business platforms – weather it’s Siebel, CRM on demand, JD Edwards or PeopleSoft – the integrations will be tight. One of the largest counties in the Northwest recently implemented Oracle ECM 11g for Universal Records Management. The system, designed around the core concept of contribution folders, is blazing the way to effectively manage records County-wide. The technology provides a hierarchal structure, with drag-and-drop functionality and automatic metadata and retention policies, for efficient and effective records management. Discover how this infrastructure for records management can facilitate Public Disclosure Requests and unleash the many enterprise capabilities of Oracle 11g. If you use PeopleSoft/JDE and are interested in extending their capabilities to accelerate multiple business processes, then this is a must-attend session. Through a tight integration, business processes are automated using Oracle ECM software to leverage your data residing in your Oracle database, optimizing operations. Further advancing efficiencies, users can utilize ECM functionality without leaving the familiar PeopleSoft/JDE interface. Capture structured and unstructured information from paper or any digital source, develop electronic workflows and store all your information in a secure repository. Learn about specific synergistic solutions that have streamlined processes for Higher Ed, Financial Services, Human Resources and more. You must become a Oracle Mix member to vote. Please sign up and vote to see ImageSource present at OpenWorld. 5) You must vote for at least three sessions for your vote to count. Please vote for the three presentations above! Posted on April 21, 2011 by ImageSource, Inc. The PeopleSoft ERP system you use for Student Information Services (SIS) has been built to support nationwide and world wide applications. As such, it cannot provide unique challenges for each business need.Typically, we see IT shops and business directors working around the deficiencies in the product in an attempt to meet specific business objectives. We also see universities purchasing complimentary products to try to meet specific needs and requirements. From an IT perspective, the cost to write custom code to modify PeopleSoft is prohibitive, or the software simply cannot meet the business objectives. With this in mind, ImageSource, a systems integrator for Oracle, has built several modules for higher education that will have a dramatic effect on how universities conduct business. The integration is codeless, so although we “talk back and forward” to PeopleSoft, there is little requirement to have PeopleSoft technical staff supporting the project. This new module provides true business workflow that can be designed and built by the business unit, allowing work to be pushed out to the specified knowledge workers. The pilot project recently completed at major California University has been deemed a complete success. This solution now allows them to provide critical real time service to students, parents and faculty. With the initial implementation in Finance and Student Services, this university is ready to implement the program campus-wide and gain substantial ROI. Posted on February 22, 2011 by ImageSource, Inc.
Enterprise Content Management (ECM) can provide a host of benefits to Higher Ed Institutions. Efficiencies can be found in Admissions & Registrar, Financial Aid, Accounting & Reporting, Human Resources, Marketing & Communications and more. 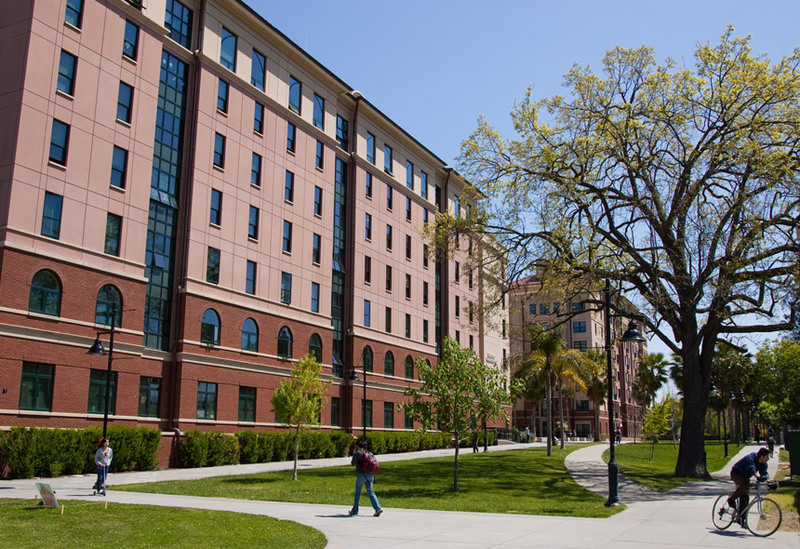 ImageSource Customer Partner, San Jose State University, is utilizing ECM technology for creative automation solutions in several departments, with plans to expand university-wide. Besides automating Finance’s requisition to PO process, a unique solution in Enrollment Services has created one of the most advanced transcript automation processes available. Utilizing PeopleSoft as the core engine, ECM technology automatically extracts almost all data from paper and electronic transcripts and uploads the data to PeopleSoft. The system provides coordinators, evaluators and auditors with concise, consolidated information, allowing them to calculate credits at the touch of a button and make enrollment decisions quicker.